Why not enjoy a Sunday afternoon of great entertainment whilst supporting two charities? 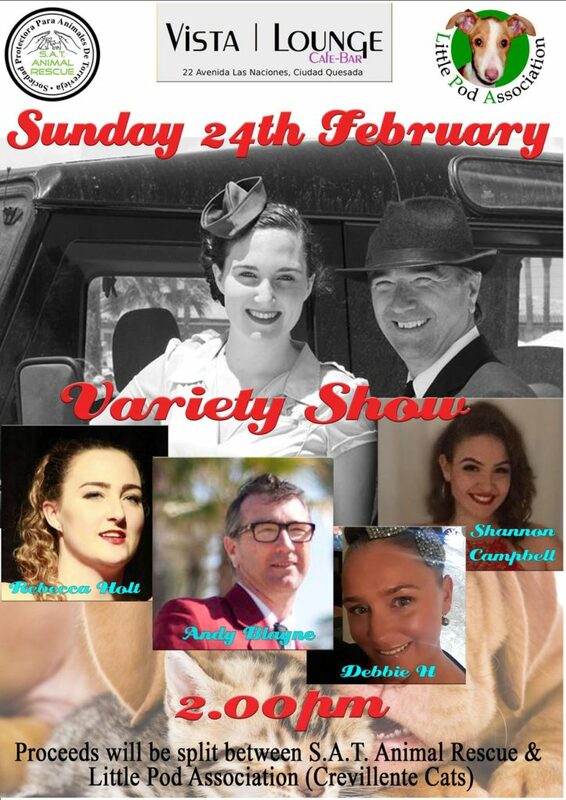 Rebecca Holt will be performing the 1940s accompanied on some songs by Andy Blaine. Also Andy will be entertaining with a tribute of Buddy Holly. If that’s not enough we have the wonderful amazing vocals of Debbie H., Shannon Campbell and Rebecca keeping us entertained with the more up to date music. This event is to raise funds for SAT and also for Little Pods to repay vet costs for the 36 abandoned cats. The entrance is free but there will be a raffle and tombola, to help raise those funds.